Recommended for all level cyclists. 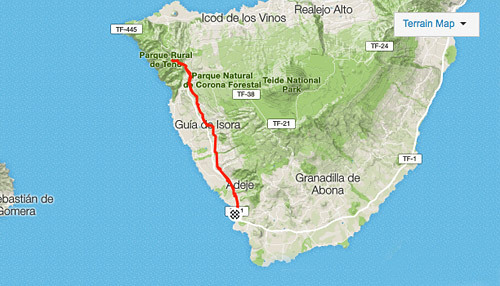 25km ride along the west coast to continue with 12km climb up to 700m. When you start descending, stop for a coffe or snacks at Bar Parada in Chio, a local bar designed for cyclists. 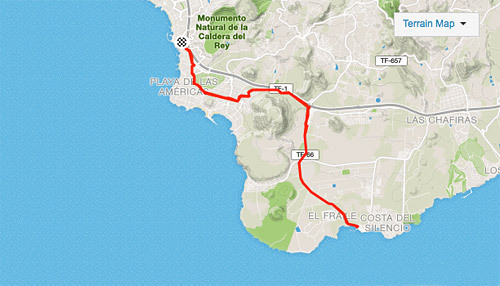 If you stay around Las Americas/Los Cristianos, this is a short ride down to the little bay of El Puertito. 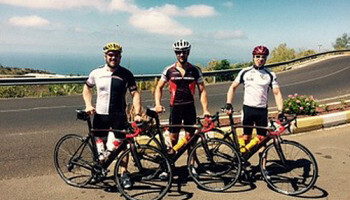 Perfect for beginners, or as a warm up before longer rides. Beautiful ocean view and the enourmous cliffs in Los Gigantes. 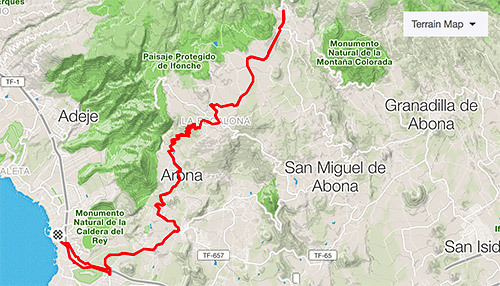 This route is for everyone, with lots of up-and downs, short climbs and descents. 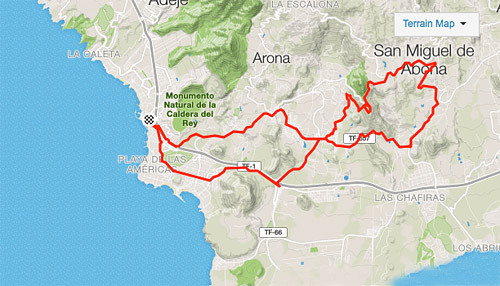 If you are more experienced, use this route as a warm up. 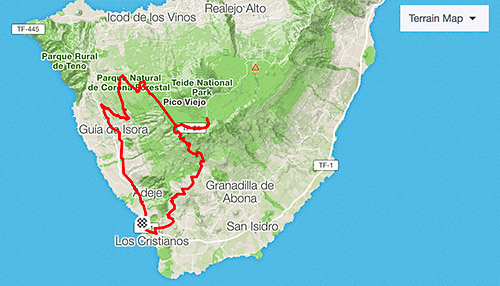 This route takes you to Vilaflor, Tenerife’s highest village (1500m above sea level). Not too steep climb, but fairly long therefore a good challenge for everyone. 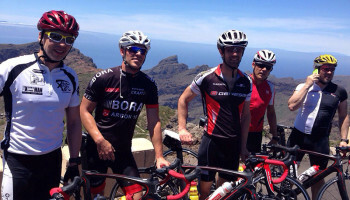 Popular climb among cyclists, and you’ll find some nice restaurants and little bars and bike stations in the village. Take your swimwear and some euros to try the local tapas bars here. 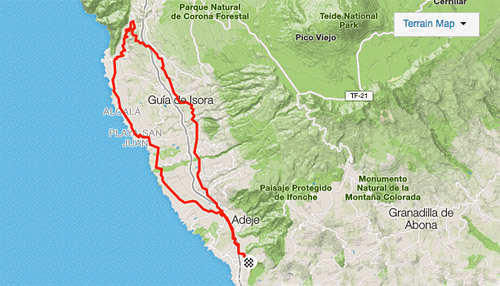 This route does not include too much climb but can be a bit windy, though. On the way back you can stop at Chiringuito Pirata in La Tejita to enjoy a good coffee or beer in a relaxed environment. The greatest challenge, the highest point, the monster you have to beat. The longest climb in Europe. Follow TF38 from Chio and do not forget to stop at Bar „Las Estrellas” as it is the last restaurant where you can get water and food…it is still a long way from here. 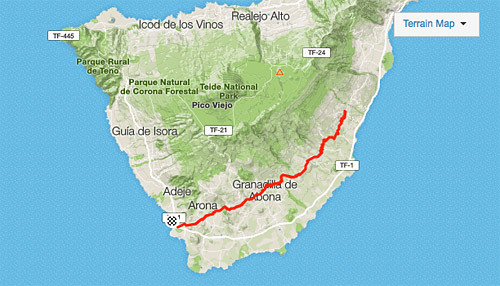 The first 20km section takes you along the coast to the village of San Juan, where you start your 10km climb along banana plantations up to Guia de Isora. From there you still have to climb a little bit before you start your 15km descend back to Americas. 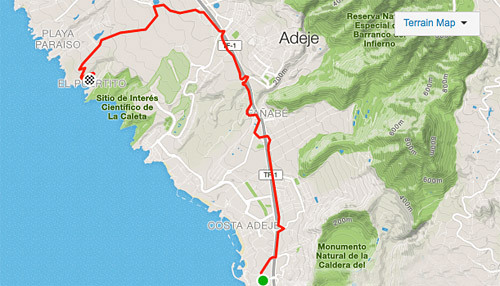 If you want something easy, try this route from Las Americas to Las Galletas and back. 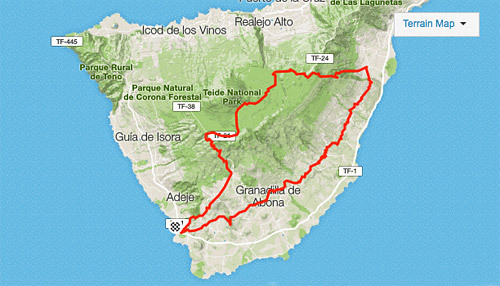 We recommend for beginner cyclists who do not want to climb too much. 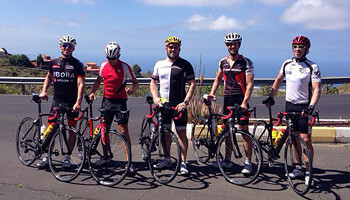 Most cyclists who come to Tenerife for training or a cycling holiday decide to climb up to Teide. If you come in winter you’ll very likely meet professional cyclists here. Vilaflor will be the last station to get some water and food, do not miss it. The old main road, now with hardly any traffic. Technical route with lots of curves and up-and-downs including lots of short climbs, but at the end you’ll collect around 3000m total elevation. 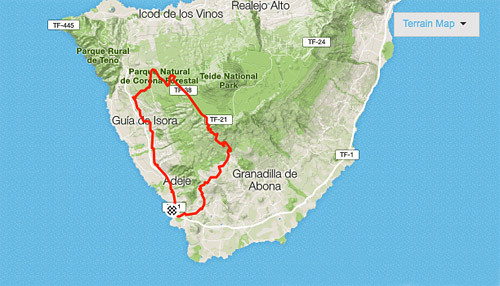 Don’t miss this route if you want to see the surfers’ paradise and also try your legs on a nice climb up to Granadilla (650m above see level). On the way down you can check Castillo San Miguel. For more experienced bikers. The most popular village, and a beautiful route. 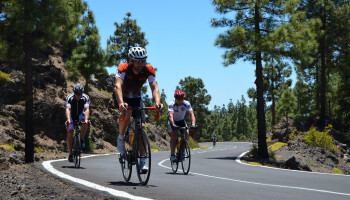 Take a break in Masca and try the famous cacus juice before you start your ride back to Santiago del Teide, this 4km will be quite challenging. 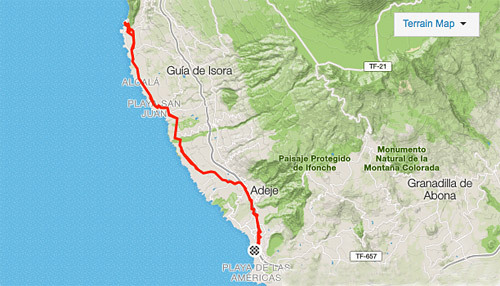 This route is recommended for experienced cyclist with a fairly good fitness level. 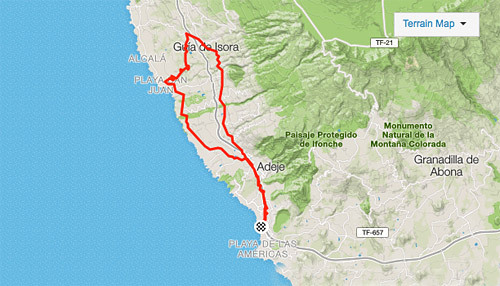 The first section takes you to Güimar along the old main road and you start the real climb at 70km. 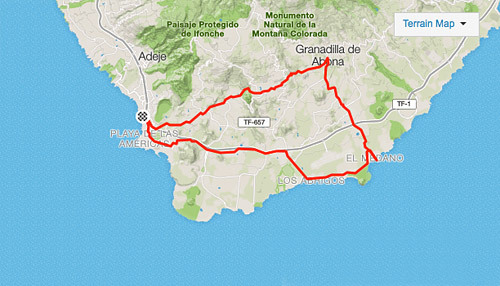 The relief comes after 117km when you start descending back to Las Americas. Really nice landscape with some climb to San Miguel de Abona. Recommended for beginners and as well more experienced cyclist. Would you like to hire a road bike? 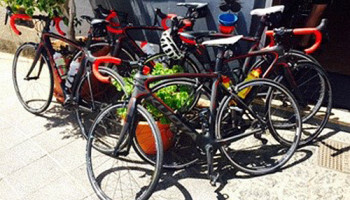 Do you need a road bike? Do you need another bike? Yes, I give consent to provide my email address/phone number to receive information, confirmations, news and future offers from www.bike4youtenerife.com. Dates and routes may vary according to the actual weather and road conditions or road closures.